In this post, we’ll be covering off how to install the Ghost blogging platform on CentOS Linux. 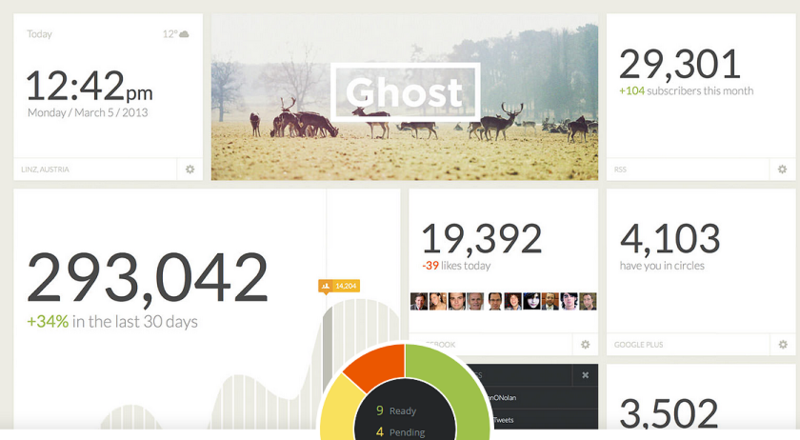 Ghost is minimalist, open-source blogging platform that was recently released. It is very simple to author content and is written in NodeJS. This tutorial requires extra RPM packages. Before continuing, please enable the EPEL repo first. Edit config.js and change the url: to your URL. We’ll create a simple reverse proxy configuration to make Ghost accessible on port 80 via Apache. Go to the URL that you’ve configured and you should see Ghost (if you haven’t set up DNS, use your hosts file to test!). For more information on Ghost, and how to use Ghost, please see the official site.